Never one to repeat himself, Lenny Abrahamson (Adam & Paul, Garage, What Richard Did) follows his frequently hilarious dark comedy Frank with a stunning adaptation of Emma Donoghue’s bestselling thriller. 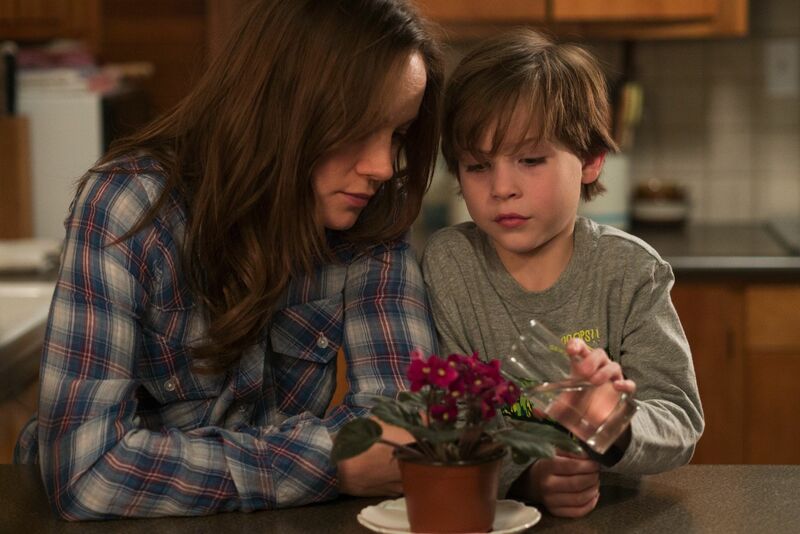 The premise of Room is bleak, but one of the reasons the viewing experience isn’t is because it’s presented from five-year old Jack’s perspective. Was that part of the book’s appeal? Yes, that’s what hooked me into it. I just thought how clever it was to turn a miserable story of a crime into a meditation on universal aspects of experience like childhood and growing up and particularly the nature of parental love. My boy was not far off the age of Jack when I read the novel and that made a big impression. By putting a parent/child relationship under the kind of pressure that it’s under in the film, it shows you its contours in ways that are harder to discern in a more conventional setting. Ma’s sense of claustrophobia about having Jack, and her desire to not have that responsibility, that’s something that parents experience and don’t talk about very much. The story wasn’t afraid of the anger that parents can feel towards kids and kids can feel towards parents and the punishing intensity of that relationship. It’s rare for an author to adapt their own work but you and Emma Donoghue worked together closely on the screenplay. What was the experience like? People always expect the writer and the director to have fallen out by the time a film gets released, but we’ve become very good friends. I really enjoyed the process. Emma’s extremely generous: she was never protective over how she achieved what she achieved in the book, so she was open to finding different ways which took advantage of the native capacities of film. Quite often I was arguing for things from the book to go back into the screenplay. Was there an element of the novel that you were keen to protect? I wanted to capture those aspects of Jack’s point of view that are essential to the story, because that’s what gives it metaphorical power: you recognise that this is an analysis of what constitutes a childhood, and all childhoods involve an imperfect bubble of protection that a parent provides yet through which darker shadows still fall. But the two have always been linked for me because I was imagining a film right from the first moment I read the novel. I remember how excited I was reading it, but what I was seeing was a combination of what the novel was doing and at the same time a projection of a possible film. With much of the film unfolding in one small location, getting that space right must have been essential. It’s hard for people to imagine how small the room really was, and we didn’t cheat. We didn’t take the walls out or anything like that. We had panels that we could remove if we wanted to get the lens back to the wall, but still your eye is always inside. I initially thought that we wouldn’t be able to do it in a room of that size, that we would have to build a bigger room and then we could make it look smaller. We built a rough version with movable walls so we could try different sizes, and actually the bigger version didn’t work. You need that constraint. It forced us to meet the task head on, which was to show that even a small space can constitute a world for a child. If you suggest a world by cheating with a not-small space then you haven’t answered that challenge. It did lead to logistical difficulties and it was very hard to do – when you have a lot of people in a tiny space, it gets really hot – but aesthetically it wasn’t compromising. I found it quite liberating. That’s the situation they’re in and therefore that’s what you should be filming. The entire film rests on its two central performances, one of which is from a child. Is directing someone that young fundamentally the same process or did have to approach it in a different way? It’s very different. You’re constantly saying “no” or “take your hand away from your mouth”. It’s like being a parent. I had to keep things very calm, very easy, never lose my temper. Jacob was seven when we met and helping him get that performance was without a doubt the hardest thing I’ve done as a filmmaker. I’ve never worked as intimately with any other actor. I was absolutely with him on every line. I feel that between the two of us, we pushed it pretty much as far as you can go performance-wise with a child of that age – that’s about as sophisticated as you can get. That was a combination of his unbelievable talent and then finding ways of helping him because he’s still this distractable, sometimes shy boy with a limited understanding of what’s really happening, with the little tics that all kids have: he might have been very blinky one day or sniffy or the wig was annoying him, but we had to get past all of that. Sometimes I literally had to tell him to hold a position and keep his eyes open as wide as he could while I counted to ten, and then sometimes he would do a whole scene with superb choices and perfect timing and you go “this is it!”, like teaching your kid how to ride a bike and they’re wobbling all day and then suddenly they scoot off down the road. Published in Curzon Issue 54. To read the original article click here.